Fly fishing lies are everywhere. Well, maybe not downright lies. Maybe half truths. And maybe they’re not everywhere. In this episode, we identify five fly fishing lies (or half truths) and then wax eloquently about what we think the real truth is. One of the fly fishing categories that we discuss is “Biggest Gear Lie.” Another is “Biggest Fly Pattern Lie.” This is a fun episode. Click on this link to listen now! 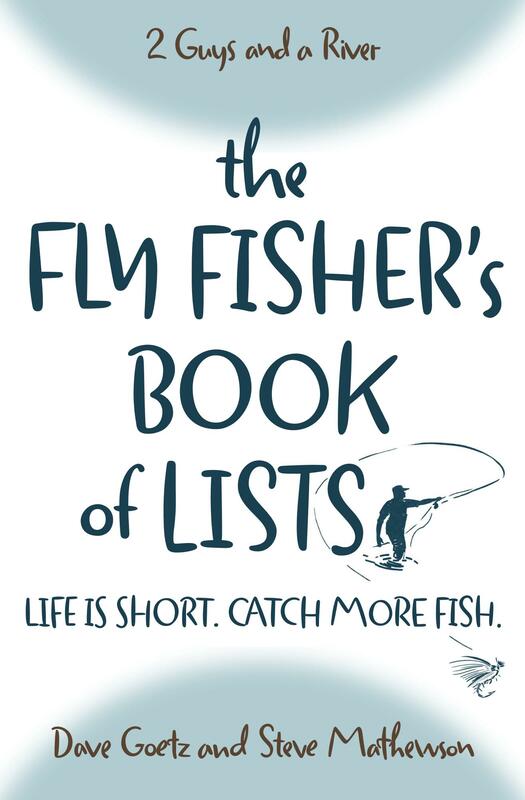 What are some of the fly fishing lies or half truths that you’ve identified? We’d love to hear them! Please post your comments below. 2. Bigger flies catch bigger fish. I have caught some of my biggest on tiny flies. I heard it explained once that “elephants eat peanuts” so you don’t always need to pull out the huge flies to get a big fish. 3. The discussion on getting too close to the fish or longer casts are better was great. I have caught a fish while I was fixing a wind knot in my line with my fly in the water less than a foot away from me. 4. Reel/drag are not important. I lost a huge fish this weekend because of this, my reel had less than desirable drag, either super loose or super tight. I guess if you are using 5X tippet and fishing for blue gill it’s probably not a huge deal, but big trout, it matters. 5. Fish are smart/dumb. I don’t know which one is the truth or the lie here. I have seen fish be incredibly picky and only take the best drifts and the best imitations of flies. I have also seen them take ugly flies with a terrible drift, I have also seen them rise to my strike indicator. 6 Last one – Listening to 2 guys and a river is not addictive. This is absolutely false. I always look forward to the podcast, and am almost done listening to all of them. Drew, these are fantastic! Love them. I’m still laughing about the Simms Chapstick! We might use these as talking points on a future podcast. Thanks for taking the time to share them.